Some way to train them is high tone vowel change our lifestyle associated with sound quality, such as waking up early, diligently cleaning up the esophagus so that the sound is always clear, also used to drink warm water so that the quality of sound produced by the vocal cords, the better. The first exercise can be done by singing a song that has a low tone, try the singing voice can be played out without being detained. Singing with a high tone to the vocal cords and used to dilate, this exercise can be done in regular time each day that is at least an hour. The next exercise is to sing scales do, re, mi, fa, sol, la, si in a low tone. Then continue to sing the high notes to the maximum of your vocal cords. Repeat until the vocal cords become elastic and you are accustomed. If you are already familiar with the high notes, try to start singing the song with high notes and sing to loud noises and off. At first you may have trouble singing in a high voice, but continue to practice at least an hour a day until you get used to. Try when singing the neck position and the condition of the body ever fit that sound produced can be maximized. Do the exercises as often as possible, preferably every day if you can. because it relaxes the vocal cords can be returned if not often trained. Do exercises with piano or keyboard so that more precise tone. The human vocal cords like a wind instrument. breathing be the key to sound the instrument. If the correct breathing techniques, experts say, then half of the affairs of the sound production is correct anyway. There are three types of breathing: breathing shoulders, chest breathing, abdominal breathing. Classical vocal technique, demanding RESPIRATORY diaphragm. 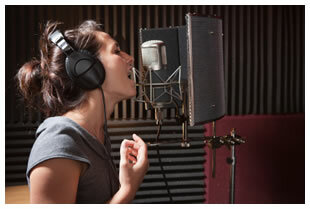 Singing is an absolute requirement of the vocal cords and throat are flexible. Therefore, the need of heating or vocals wants a shot every time or before taking to the stage. The exercise starts with a soft voice. Throat do not strain. Feel free to open his mouth. Do not be afraid of your ugly face and mouth visible to others. The position of the mouth of a reasonable, not contrived. The lips should form a funnel-style trumpet, but still need to open the lid supple down. Jaw flexibly, especially when brought high notes. It avoids the sound "squashed". Tongue to be flexible, not rigid. Five aka vocal vowels (a, i, u, e, o) must be trained continuously pronunciation. Mouth opened wide so that all audible clear vocals. 1. Do not force yourself to sing high notes-high notes that have not been mastered. The vocal cords can be worn. 2. Do not drink ice before and after exercise or very hot day. Beverages that are too hot nor recommended. Nortier Simanungkalit, father choir, also prohibits seriosa singer and choir avoid ginger. 3. Do not force yourself to sing when you're sick, cough, runny nose. 4. Avoid oily foods, spicy, 3-4 hours before singing. It would be ritually pure if professional singers do not drink coffee, alcohol, and smoking. Therefore, it is very affecting breathing. 5. Make a habit of drinking a glass of white water when I wake up and gymnastics in the morning while sipping fresh air as much as possible. 6. Enough rest. Not advisable wait up. 7. Do not sing in an empty stomach or too full. This affects the abdominal cavity, diaphragm, and the quality of breathing. 8. Singing in joy, not stress. Do not sing only voice but also your face. Expression or appreciation of the song absolutely necessary. 1. Keep your distance with the mouth. About 20 cm with an angle of 45 degrees. Always earned the same distance. When a high tone, keep the microphone so that the volume of the sound is not too hard. 2. Singing voice. Features a microphone for voice hardened. So, you do not need to completely remove the noise. Voice is too hard will turn out to be broken and sharp. 3. Do not take a deep breath into the microphone. Reason, your breath will be a canned voice microphone is very sensitive. 4. Record and listen to your own voice as an evaluation. Good Luck and hopefully usefull for you..
Britney Jean Spears or better known by the name of Britney Spears was born on December 2, 1981 in McComb, Mississippi, United States. She is a pop singer from the United States. Britney Spears has become a popular name since issuing his first single ... Baby One More Time in 1998. Then followed the release of an album titled the same. Britney in 2000 issued a second album titled "Oops .. I Did It Again". The album sold in its first week in the United States 1.3 million and is the fastest selling album in history. He has been getting a lot of awards and includes a Grammy for "Best Dance Recording" for his hit song Toxic by 2005. Britney Spears was married to Jason Allen Alexander, his childhood friend, dated January 3, 2004 at The Little White Wedding Chapel, Las Vegas. This marriage lasted 55 hours, ending with the cancellation of the wedding date January 5, 2004. Britney married to Kevin 18 September 2004 and registered on October 6, 2004. Britney gave birth to her first child with Kevin, Sean Preston Federline, on September 14, 2005. A few months after Sean was born, Britney pregnant again. The second child, Jayden James Federline, was born September 12, 2006, two days before Sean's first birthday. Britney Spears also plays a role in the big screens one of which is the Crossroads (2002) in which she has a starring role. The Mickey Mouse Club, The Famous Jett Jackson, Sabrina the Teenage Witch, Longshot, The Simpsons, Austin Powers in Goldmember, Crossroads, Stages: Three Days in Mexico, Robbie the Reindeer in Legend of the Lost Tribe, Britney & Kevin: Chaotic, Will & Grace, How I Met Your Mother, Britney: For the Record. Singing with proper breathing techniques can make the blood filled with oxygen. Perhaps at the beginning of the exercise you will feel dizzy. But over time, the heart and respiratory function will increase. 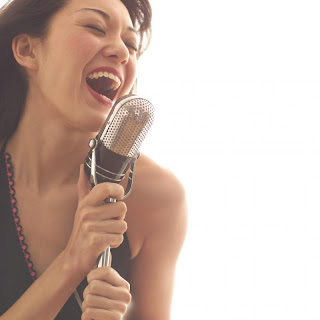 Vocal practice can also relieve mild bronchial asthma, chronic bronchitis, and tonsillitis. 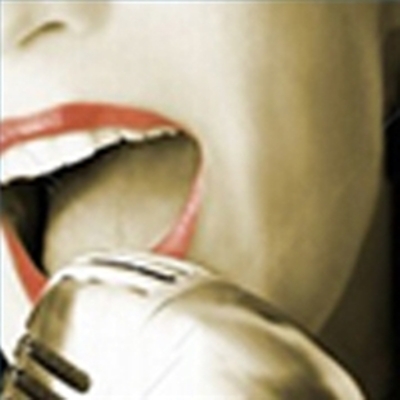 Singing will enhance public speaking abilities. Vocal therapy helps a person to overcome stuttering in public. Vocal techniques to help overcome the stiffness of the neck, making the lips and tongue become more active, setting long-short breath right, as well as control the flow of air. With this provision helps a person perform better for his speaking ability. The body becomes more toned. People who sing with the right to be accompanied by good posture. For example, namely: back straight, shoulders back, stomach pulled up to enter. This posture will train the muscles of the body to become more toned. Provide anti-aging effect. People who sing will force the muscles of his face is always active. This produces an anti-aging effect due to muscle firmness is always awake. Able to manage emotions. People who love to sing better able to control his emotions. He has a more stable emotions and tend to often in a good mood. 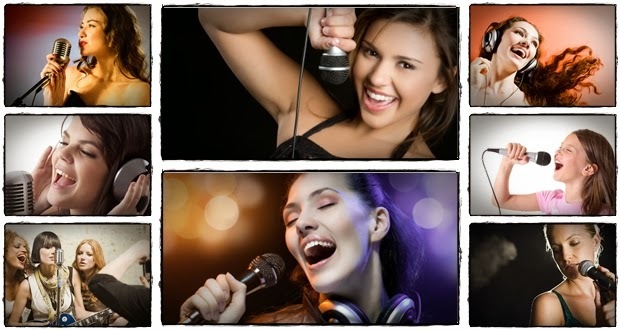 So do not consider trivial vocal courses because that's where you will be trained to sing with proper breathing techniques and how to sing the right, though not requiring additional musical instruments and can be done wherever it turns extraordinary benefits for physical and mental health. As the winner of The X Factor USA first, the name Melanie Amaro is already not sound familiar to most music lovers internationally. How not, melodious voice has proven capable of beating the other contestants. Welcoming the new album which will be launched in December to come. Melanie Amaro, winner of the inaugural talent show, "The X Factor (U.S.)", has finally released his first debut single "Do not Fail Me Now" from nearly eight months after he welcomed the winners of the talent show. Produced by Rodney "Darkchild" Jerkins, will be included in a single absorbed Amaro debut album scheduled for release this fall. Opened with a hook that is also the chorus, this song is a pop dance song with a rhythm that is very easy listening. Lyrics 'So do not fail me now, feet do not fail me now' became the anthem she sang this song repeatedly. The lyrics told of the efforts of the main character to get someone that he longed for. In the lyrics, he continues to reverberate to avoid anything that would thwart his intentions. Unfortunately, the songs produced by Rodney Jerkins and written Livvi Franc, the game beat less dynamic and 'hit', so all the songs we will be presented with a tone that seemed flat and less than the maximum. For a pop dance song, this song is clearly visible as they 'play safe' because the rhythm that seemed to invite the listener to sway, but rather fail to realize it because the song is less upbeat. Beats breakdown there also was very brief and casual. The lyrics even less variation, so it sounds pretty boring. Fortunately, a powerful beautiful voice Amaro issued during the song can be a bit up the slack of the song. Behind it all, as the first single, the song is arguably quite nice and very radio-friendly. But of course, as a winner of the talent search competition, spectacular things clearly still expected to come from the sweet girl turned 20 this year. We'll see in a later singles! John Lennon was a singer, songwriter, author, and political activist known throughout the world as the leader of The Beatles. Lennon and Paul McCartney formed a partnership songwriter's most successful and unsuccessful to date. Lennon and McCartney with the cynicism with optimism complement each other very well. John Lennon was born in Liverpool, England, October 9, 1940 with the full name John Winston Lennon. 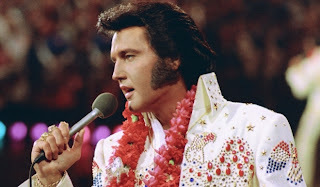 He died in New York City, USA, December 8, 1980 at the age of 40 years. After the dissolution of The Beatles, John Lennon was also successful with his solo career/ solo songs. One of the hits which are still very famous "Imagine", a song which became one of the hymns of peace in the world. In the book he wrote such as In His Own Write, press conferences and interviews. He uses his popularity to its activities as a peace activist, artist and writer. John's songs are very strong because of the lyrics of some of his past life telling. Interestingly, the tone of the music used John on the song sounds eccentric, jumping 'is not rhythmic. John also uses a variety of instruments: harmonica, tuba, zither, and others. Some of the songs John that sounds unique and second to none in the world is Tomorow Never Knows, Fool on The Hill, Mother Nature Son, Julia, A Day in The Life, Strawberry Fields Forever, Penny Lane, Do not Let Me Down, and more. In 1962, John married, he chose to Cynthia Powell, a fellow student at the Liverpool College of Art, as his wife. Cynthia had conceived the child of their relationship. The child was eventually born and given the name of Julian Lennon. Relations John and Cynthia cracked a few years later. Because John chose Yoko, Cynthia him finally divorced in 1968. John and Cynthia Divorce sympathy from Paul, especially for those children who are still young Julian. Paul also created a song called Hey Julian, composed into Hey Jude to entertain Cynthia and Julian. The song is one of the most enduring songs of The Beatles. John and Yoko's relationship continues. The relationship was commanded John in a song called The Ballad of John and Yoko. Relationship estimated by many observers to be one of the causes of musical dissolution of The Beatles in 1970. "I made this band and I dissolve it. 's As simple as that," said John after The Beatles broke up. John Lennon is the best singer of all time. How fierce does John Lennon, so it can be so influential in the world of popular music? And if you listen, the leader of the Beatles sound is not so special, maybe even mediocre. If seen, there are many singers who have a more powerful vocal quality and remarkable than John Lennon. On the other hand, the vocals became the standard main advantages Lennon. No less than Freddie Mercury, Kurt Cobain, Bono of U2, Oasis Liam Gallagher, Neil Young, Stiven Tyler Aerosmith, Lady Gaga and some other singers are so influenced by Lennon. Most of the other musicians and make Lennon was such a role model in music. Both of lifestyle, vocal styles and musical innovations. 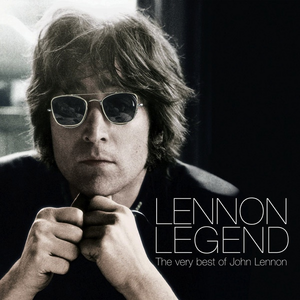 Because of its impact with John Lennon, some musicians to make a tribute to Lennon. As Freddie Mercury made a song called "Life is Real". This song is purposely made Freddie Mercury with Queen in honor of John Lennon, which have affected the Queen to become a great band. Some songs Queen, also deliberately similar to Lennon's song creation. Queen fans would know this. Let us refer to Best John Lennon Solo Songs. Have you heard "Do not Look Back in Anger" from Oasis ...? Consider the best intro song is owned by Oasis. And you will get a feel of "Imagine" in there, just a typical Lennon piano sound. Beatles fans certainly will not be foreign to listen to this song, even when heard from the beginning to the end of the song. In addition, "Imagine" nuances "Something", "Hey Jude" and "Watching the Wheels" is also on this track. 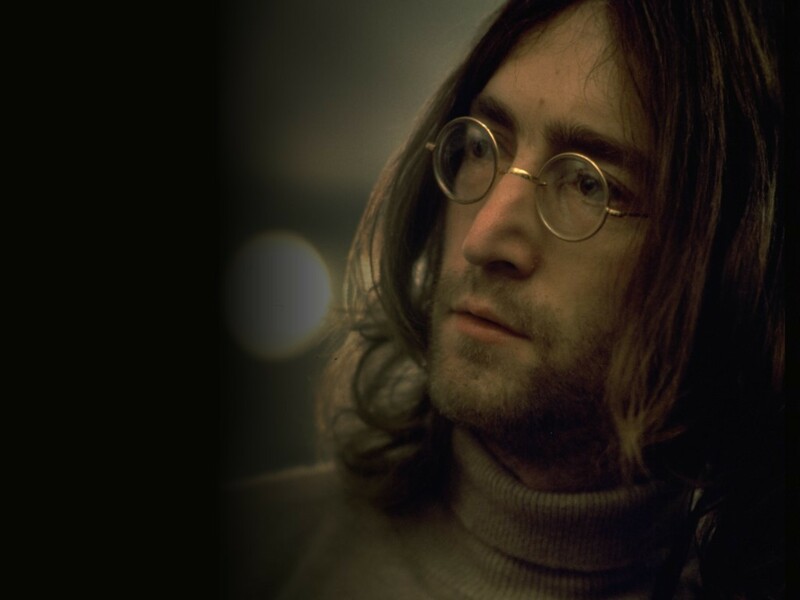 When Lennon sang "Imagine", he had the idea that inner longing for a world peace is a real thing and can be realized, and "Imagine" sung by bravery. One of the major advantages in singing Lennon is, he was able to demonstrate the quality of sound in a variety of contexts, including the four songs above. "The more he developed as a writer, he was Able to show his voice in various contexts". In fact, his time with The Beatles, Paul McCartney not be as good as Lennon in terms of appreciation of the song. Maybe it's the influence of Kurt Cobain, so he prefers Lennon than McCartney. Try listening to "I'm Only Sleeping". In this song, Lennon sings a sleepy exactly as he lay in bed. The song also became one of the top vocal appreciation of the greatness of John Lennon. While telernya vocals on "Lucy in the Sky with Diamond" (Sgt Pappers Lonely Hearts Club Band, 1967), is really second to none. Yes, this song is telling about Drugs. Appreciation on the song "I'm So Tired" is also amazing, he was shouting and singing like a very exhausted. But a soft voice that sounds coherent with piano also Appears on the song "Oh My Love" to the make anyone who listens washed away the atmosphere of love song full of mystery. In the song "Mother" Lennon wants him to express his pain. Mother / You had me / But I never had you. "It's a crushing depiction that stays with you forever. He screamed with rage. Mama dont go / Daddy come home. When Lennon sang "Jealous Guy", he's like a lonely and alone. He also pointed out by the whistling of hope and dreams of the past. "I was dreaming of the past / and my heart was beating fast wast / i Began to lose control / i Began to lose control / i did'n hart mean to you / I'm sorry that / a made you cry / i did ' n wont to hurt you / I'm just a jealous guy ". Tremendous appreciation, it also indicated Lennon in his classic song "Strawberry Fields Forever". John Lennon was recalled her childhood when she sang this song. As a child, Lennon often played in a park near his home in the Salvation Army Woolton called 'Strawberry Field'. At Strawberry Fields Forever, she sang with a sad voice as he recalls his past bleak and full of dreams. He always told the truth. He felt he had the right to talk about anything. No one understands exactly how he was doing, according to Lennon did what he felt and what he said. Deep Purple is a highway star rock band from the UK who is considered as one of the pioneers of heavy metal music along with Led Zeppelin and Black Sabbath. Embryo is the creation of Deep Purple Jon Lord who previously played for The Flowerpot Man with another fellow musician, Chris Curtis, and a businessman who tried to be a music producer, Tony Edwards. John Lord is the composer, most Deep Purple songs created by him, he is the spirit of the band. In late 1967, Curtis Ritchie Blackmore recruited in Germany with Neil Christian And The Crusaders. Prior to Germany, Blackmore had joined The Screaming Lord Sutch and the Outlaws And The Savages. The song "The Address" and "Mandrake Root" is written on the first meeting of Blackmore and Lord. Soon joined by fellow bassist Lord at The Flowerpot Man, Nick Simper. To fill the position of lead vocalist and drummer, Lord and Blackmore recruited Rod Evans and Ian Paice. After briefly calling themselves the Roundabout, in March 1968 they officially became Deep Purple. Before deciding on the name Deep Purple brand name that was in the band's name was suggested as the "Orpheus", "Concrete God", also called "Sugarlump". One morning, Ritchie suggested the name "Deep Purple" because it was the name of her grandmother's favorite song, which is quite popular in the 1920's and became a hit in 1963. In 1969, Evans and Simper fate suddenly dumped by Blackmore, Lord and Paice. Richtie out of the pub to find a replacement. Finally, he was impressed with the two personnel Episode Six, Ian Gillan and Roger Glover. Back Deep Purple formations brand new release titled album Burn, success in English at the 9 and 3 positions in the United States. Songs on this album, 'Might Just Take Your Life' success in the American music world. In 1975, the album Come Taste The Band (CTTB) held the position of guitarist Tommy Bolin former guitarist James gang, successfully entrenched in the stairs 19 English. 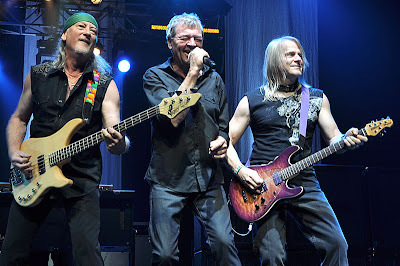 To promo the album Deep Purple toured the world, including the U.S., Australia, Europe and the United Kingdom, as well as Eastern countries. One of the pioneers of hard rock and heavy metal was last issued album Rapture of the Deep in November 2005. Good news emerged, after seven years of vacuum, the legendary rock band Deep Purple finally ready to launch the new album. 19th studio album is due to be released in late April. They have completed the recording process in Nashville, USA. Deep Purple's latest album is rumored to consist of 13 songs. Among them, Out of Hand, Hell to Pay, Weirdistan, Uncommon Man, and Above and Beyond. Only, Gillan did not want to reveal the title of the band's latest album. 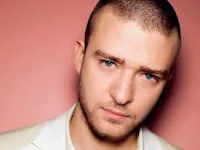 After a long vacuum in the music zone, Justin Timberlake (31), a former personnel boyband N Sync's writing on social networking account, that soon release new songs. Justin Timberlake manages to look more casual and impressive with a solo career. The news is getting stuck on the new song, a collaboration with Justin rapper Jay-Z and Timbaland, producer Justin subscription. The last time Justin released the album "FutureSex / LoveSounds" in seven years ago. After that, Justin, more often starred in the movie. This recording became the first recording after the album "FutureSex / LoveSounds" in 2006. From the album managed to make the song SexyBack Justin and What Goes Around ... Comes Around. But, until now there is no certainty when the album will be launched. Some artists are born with charisma and powerful energy. They can make great music. Now everyone is talking about how to win the chart and do something different. Justin and his producer confident of being able to beat the other great singers. After nearly 10 years of not issuing best songs, British singer David Bowie made ​​a surprise on the day of the 66th anniversary, David Bowie released a new album titled "The Next Day", produced by Bowie and collaborated with Tony Visconti. Previously, on 8 January 2013 has issued the single "Where Are You Now? ", Which tells the memories dive in Berlin, Germany. In the song's video clip, loaded too black-and-white images when the city was not yet unified. A label Columbia Records, said single it is a treasure full of surprises. 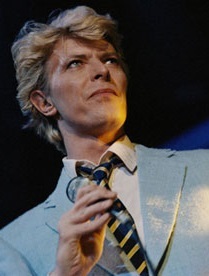 The single is scheduled to be published in Bowie's first studio album, "The Next Day". The album contains 14 tracks, and there are three bonus tracks. Bowie makes vacuum British newspapers reported that he had retired from the music scene. In the last Bowie album released a decade ago, "Reality". After that, he underwent heart surgery in 2004, when he was touring. David Bowie's last appearance on the stage were we can see at a charity concert in 2006, possibly due to health reasons he then rest of the music world before now he appears again with new ideas. To be able to sing well, required mastery of style or style songs to be sung. A force in the keroncong music, would be quite different from the style of pop or other music styles. To that end, practice rhythm tracks mastered must be considered by a singer. Usually in singing will be accompanied by a single keyboard, band, orchestra or other accompaniment. Good accompanist can be challenging to master rhythm singer. Pronunciation in a natural and expressive style characteristic or pop singers, besides timbre safer for the singer, also affects the comfort and reasonableness articulation. Pop singer prefers outcome is clear and correct speech than too peg formation techniques mouth. Pop music means popular music, light music fun and favored by many enthusiasts by tapping on the nature of entertainment. Pop songs or entertainment known as pronouns entertainment. 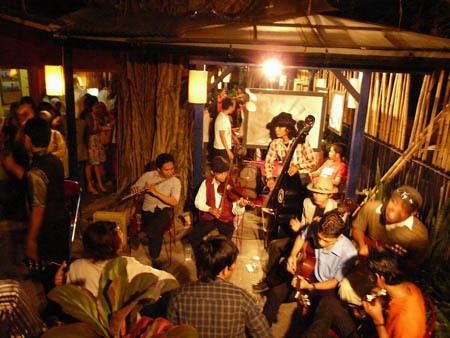 Entertainment in confined spaces is also known as dance music, to the extensive use of open stage known as pop music. 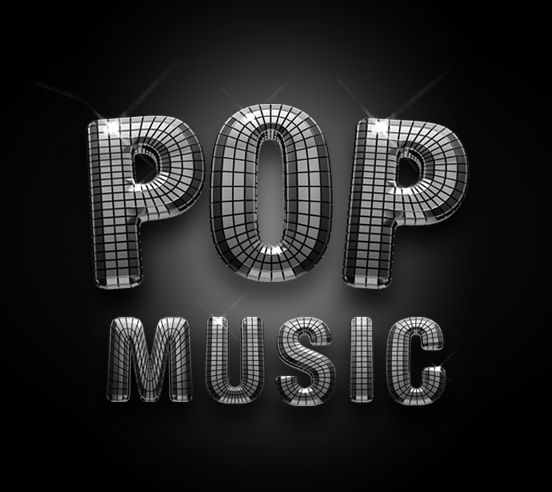 Pop music is strongly supported by the media since the beginning, as opposed to art music, both traditional and contemporary. 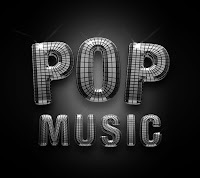 In general, it is difficult to determine the style of pop music, because the genre is constantly evolving with the current development of the era. But the most important thing in the pop vocal style is very free in expressing a song. Examples of pop songs like Crazy (Julio Iglesias), Careless Whisper (George M), When I Need You (Julio Iglesias), Something Stupid (Frank Sinatra) and so on. Cobain already know the music from an early age. The first musical instrument he can get is a set of drawings of Mickey Mouse plastic drum. After his parents' divorce, Cobain went to live with his father in a trailer. In those years, he also received a gift of a mini bike, Yamaha Enduro 80. Every day for a play bike around his residence, and to the attention of the people there. Cobain never abused the mentally retarded schoolmates. but he escaped charges for lack of evidence. She was not able to show people (Cobain) who abused through the photographs in the yearbook because Cobain is not in the picture in the yearbook. Cobain never wanted to mention homage to grunge music. He hated "grunge" long. He prefers to call his music as a stream of punk rock or alternative rock. In 1982, a film of KURT Cobain commits suicide BLOODY. which tells the dark side of Cobain from his parents' divorce. There's a scene where he cut himself with a piece of wrist beverage cans. Cobain claimed descent has a knack for suicide. One grandfather, Burle Cobain (Kurt oldest brother of my grandfather, Leland Cobain) to end his life by firing a .38 caliber pistol in the stomach and head. 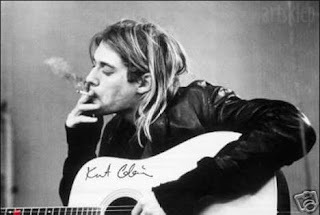 Based on Kurt Cobain's discography books, Heavier THEN HEAVEN, Cobain's sister said that when Cobain was a kid, he never said he wants to join the Club 27, the club of musicians who died at the age of 27. And he's make it happen! Before the suicide, Cobain wrote a letter to Boddah, imaginary friend from childhood, in a dark room. He then smoked Camel, drinking beer, Barq's, and inject black tar Mexican heroin type into her body. Kurt Cobain Shotgun used to kill himself was Remington-M11 type commonly used hunters shoot ducks and birds. Shotgun type will not make the game broken body. This also causes the head Cobain was not destroyed when a bullet penetrated his chin. Spectacular! About seven thousand people gathered at the Seattle Center park to attend the funeral of Kurt Cobain on April 10. With profound sadness, they all accompany the departure of a rock star who changed the world of music in the 90s. And the world loses a figure Cobain. Unfortunately, he had to end his life at the peak of success in the world as a musician. Cobain! Name and your work becomes a legend that will never be forgotten. In 2012 yesterday, becoming the most shining year for Adele. Starting from the album 21, involved in the latest movie to break the record of the year. 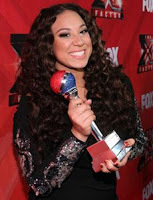 In this age who have not reached 25, the singer of "someone like you", managed to get a lot of compliments. With a beautiful voice, simple lyrics, he was offered to be a filler movie soundtrack Skyfall. Adele album also becoming the best-selling album of all time. 21 album sold 4.562 million copies and to figure surpassed Oasis album. However, the position remained behind Adele album sales combined between the Queen and ABBA. British singer also became the first singer who has sold over 3 million albums in the UK in the period of one year. All of these awards is a tremendous achievement that occurred in the year 2012 yesterday. Adele is perfect happiness on the birth of his first child with Simon Konecki. 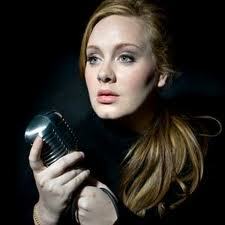 It is the greatest gift that obtained by Adele during the year 2012. A singer should be able to carry a tune very well from a work in the spirit of the song, such as sad, happy, spirit and so on. A happy song should also be accompanied with a happy expression or movement anyway. Singing with the 'feeling' means singing with 'heart'. Before singing the song, it would be nice if it would live up to what was sung. Because as long as the content of the song singing must live with the feeling / heart. Many singers focus on himself, not the song being sung. No chants performed expressive remembering songs are sung, especially when he read his poetry. Therefore, before performing, memorize lyrics be sung. Having memorized the lyrics, understand exactly what the message is in the song, and then understand the meaning and message, make sure your basic soul song of sadness, anger, excitement, joy and so on. After successfully animates lyrics, sing the melody without any rhyme with integrated fixed on the basis of an interpretation of the poem the soul. Having mastered a song lyric, there is still one factor that must be passed is the musical accompaniment of useful functions to bring in a more profound sense. When singing to the accompaniment of music, united feeling song with musical accompaniment atmosphere. Both the chromatic melody sung over from c-cis-d-dis-e-ffis-g-gis-a-ais-b ...... and so on up and down each half barrel, measuring boundaries vocalist concerned tone. Stiffen the walls of resonance, the effort is aimed at moving towards a bright sound. This can cause the echo can be processed perfectly. By chromatic up and down each half barrel, extended as far as the singer is concerned. Enlarge the cavity resonance, aimed at gaining votes are weighted (thick volume). This can be done by way of singing the melody below using syllables.